Sponsor Your Parents for Saudi Arabia Visa. 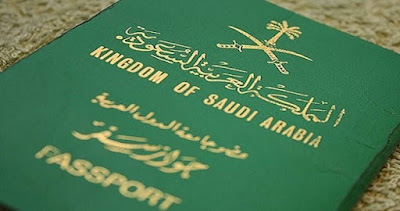 Getting a Saudi Arabia visa for your family members especially for you parents can be very downright complicated if you have no understanding of the requirements set by the government. Once the family visa has been given to applicants parents, they will have to appear in the in person at the Ministry Of Foreign Affairs and will be eligible to stay in the country for as long as they want. Houses and air tickets are pretty cheap in Saudi Arabia and there will be many things for your parents to see as there are many unusual sites in Diriyah, Jeddah and Najran. Saudi Arabia is not one of the most entertaining countries of the world for those expatriates who are living far from their house and working here. But, Saudi Arabia government these people feel at home by giving them an opportunity of inviting their parents, friends and family on a visit visa or by giving them a permanent residence visa depending upon the muqeem profession and their iqama. Permanent visas are of much more significance than the visit visa and the applicant will not have to worry about getting it renewed after every few months. Visit visas in Saudi Arabia have the validity of three months but it is possible to get it renewed one more time. On the other hand, the residence visa is for a very long time period and the applicant can stay in the country for as much time period as they like. Online application forms are available that can be filled and desired documents are to be attached for further processing for the application. The applicant must have their original iqama at the time of applying to Saudi Arabia sponsorship visa. Moreover the applicants must have their valid passports and the copies of passport for every member. The sponsor applying for family visa for his parents must make sure that his profession is included in the list for which family residence visas are acceptable and that his employment contract is valid at the time of application. After the online applications with documents have been submitted, the applicant must get it verified from the Chamber Of Commerce situated in the city of your work. The fees estimated for the visa application should also be paid at that time for every application submitted after which the Chamber of Commerce will take copy of your application and give you another copy of it to keep. The Ministry Of Affairs take three days to carry out the process after which you can check the status of your application online from their website. After the sponsor visas of your parents have been approved, it should be stamped from the Saudi embassy or the consulate of the home country of your relatives within three months of the period of its issuance. All the documents defined above should also be submitted again in the embassy of home country to get succumbed. If this procedure goes precisely, the applicant can bring his parents in Saudi Arabia easily.